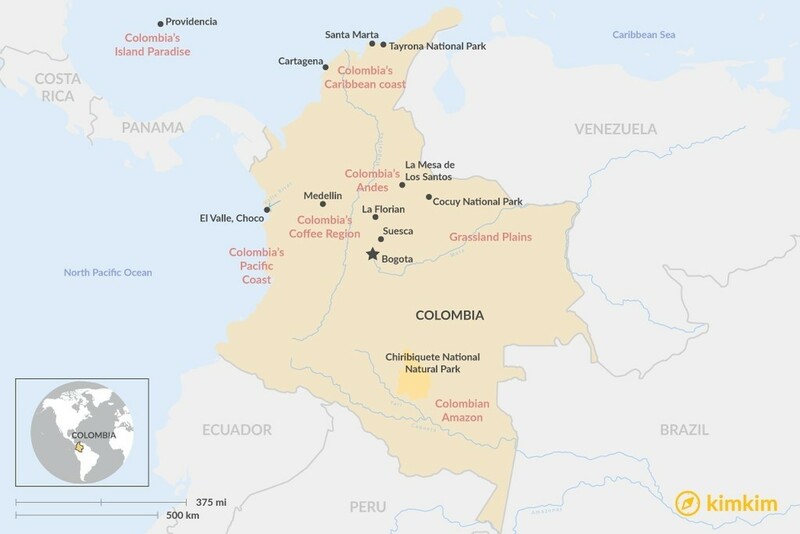 Colombia can be divided into five geographic regions: the Caribbean coast, the Pacific coast, the Andes Mountain Range, the Grassland Plains, and the Amazon Rainforest. Each region offers its own unique activities; here's a quick overview to help you understand the highlights of each region so you can best plan your trip. The Caribbean coast and the Andes can be visited year-round as temperatures remain constant around 75°F (24°C) along the coast and 63°F as you move inland to the Andes. The Pacific coast can also be visited year-round, but we recommend going in July for the start of the whale-watching season. Visit the Grassland Plains (Llanos Orientales or Orinoquia Region) in June and July to take part in festivals honoring Colombia’s cowboy culture infused with Venezuelan cultural influences. Expect rain any time of year in the Amazon Rainforest, with a slightly drier and warmer season from June to December. If you visit during the busy season for Colombian tourism (December to February), expect higher prices for accommodation (around $130-200 USD per night at 4-5 star hotels). The week before Easter also tends to be especially busy along the Caribbean coast. For more information, check out our article on the best time to visit Colombia. Colombia’s most popular tourist destination, Cartagena, is famous for its lively nightlife and its colonial ‘old city’: a beautifully persevered labyrinth of cobbled streets, old churches, atmospheric plazas, and colorful balconies draped in blossoms. The old city, defended by a 13 km stretch of ancient stone wall, is a UNESCO World Heritage that has survived waves of foreign invasion and pirate attacks. To make the most of your time in Cartagena, devote a day to exploring the old city and another to sailing to one of the many surrounding islands, such as Baru and Rosario. Santa Marta is the main jumping-off point for exploring the nearby coastal region: Tayrona National Park. From Santa Marta, you can go sea kayaking, snorkeling, or scuba diving from a chartered sailboat and enjoy a stay at a Tayronaka Lodge on the site of a Tayrona ruin. Santa Marta’s stunning sea-to-sky geography is also home to diverse cultures — Afro-Caribbean and indigenous — such as the Arhuaco, the Koguis and the Wiwas. Discovering their ancestral arts and learning about the philosophies of the Sierra is a rare opportunity, and will help you appreciate the beautiful symbols and artwork of their culture found in the markets of Santa Marta’s lively old city center. 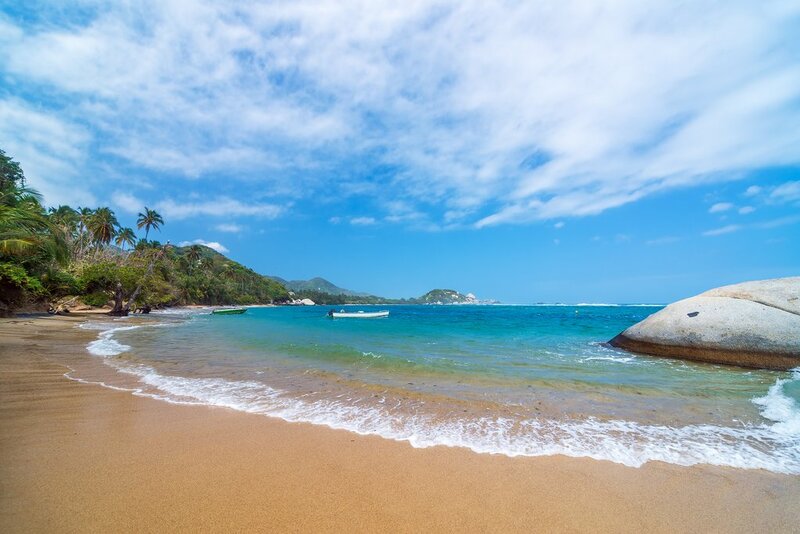 There is no better way to experience the “Pearl of the Americas” than to sail its coast to Chengue Bay and access Parque Tayrona via the sea, a wonderfully unique way to access its pristine beaches. From Parque Tayrona, trek to Ciudad Perdida, an archaeological site in Colombia's Sierra Nevada. The gem of Colombia’s Caribbean coast. 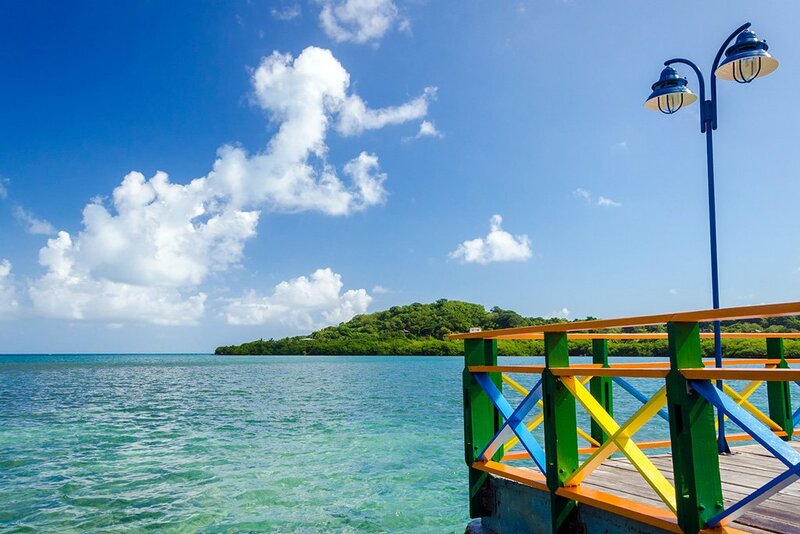 The proud, unified community of Providencia aims to protect its natural beauty, vibrant reefs, world-class diving, and cultural roots. This cultural conviction makes for a truly authentic vibe with preserved local eateries, hand-painted public transport, and lively central plazas. To access Providencia, you can either fly first to the neighboring Colombian island, San Andres, or take a direct from one of Colombia’s major cities (Bogota, Cali, Medellin, Cartagena, or Barranquilla). Alternatively, you can take a 2 1/2 hour catamaran ride, but be sure to confirm schedules, as boat trips may only depart on certain days of the week. For Colombians, Medellin is the most desirable city to live in due to its progressive urban planning and easy access to natural beauty. The city itself rests in a beautiful mountain basin surrounded by lush hills and panoramic views. You’ll find numerous eclectic restaurants, music venues, art galleries and dance academies in the hip neighborhoods of Provenza, Poblado, Manila, Envigado, and Laureles. Take a tour through Medellin and interact with social and entrepreneurial “Paisas”, local Antioquenos, who are are very proud of their transformed city. Highlights include walking through the city center to experience the hustle and bustle of Parque Berrio, strolling through the iconic collection of bronze sculptures at Botero Plaza, taking a cable car from the city to Parque Arvi, and seeing a concert in the world-renowned Botanical Garden. What makes Medellin unique is its “finca” culture, a tradition of retreating for a couple days to a farm estate in the nearby hills, close to picturesque, historic towns with mountainside (and often poolside) views. These surrounding, charming historic towns were the first to grow coffee in Colombia and are situated in breathtaking mountainous ranges, such as the Cerro Bravo at Oro Molido Coffee Farm. 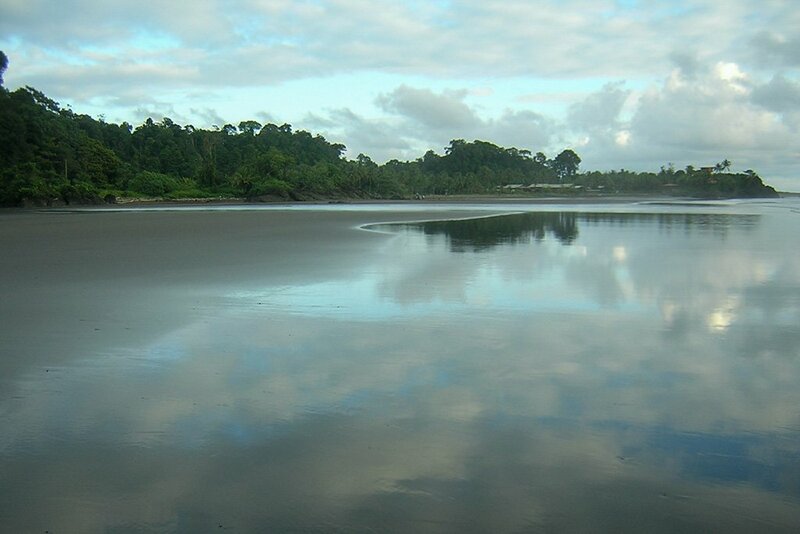 There is no road access to El Valle, a Pacific coast beach vacation town located in El Choco. This is one reason why the indigenous communities, marine ecosystems, and lush jungle are so vibrant here. 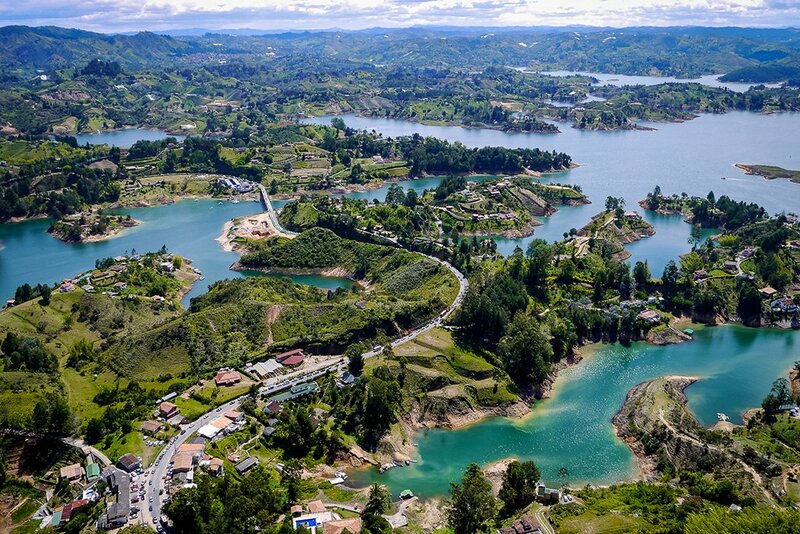 You can reach El Valle at Bahia Solano via a quick flight from Bogota, Medellin or Cali, though you will feel as though you’re a world away. 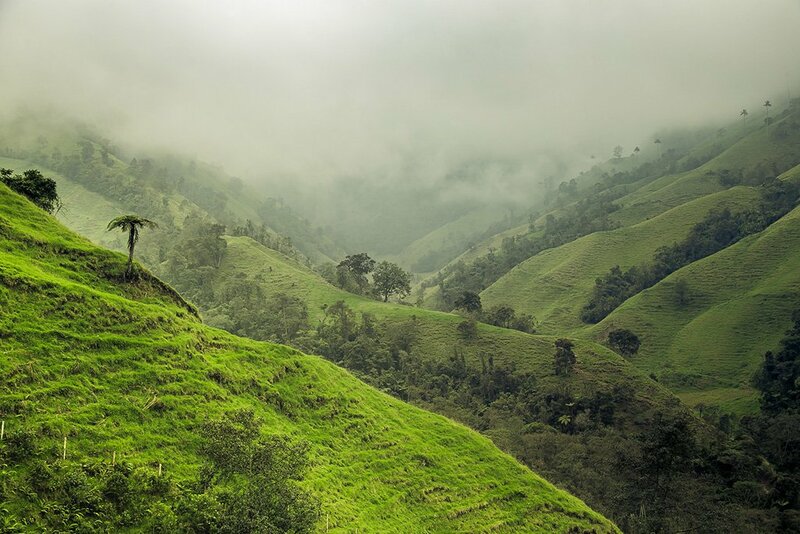 This region has the strongest Afro-Colombian influence in the country. Cultural highlights include traditional African singing groups, as well as a 2-hour boat ride in Valle River to visit an Embera Tribe. World-class game fishing season is year-round, whale-watching season is from June to October, baby turtle hatching season is from September until January, and surf season is consistent with peaks in the Winter and Spring. There are several trekking tours in Utria National Natural Park, including one to the stunning “El Tigre” falls, a cascading waterfall that crashes into the beach. Until you make the journey to the Colombian Amazon, you’ll never know what adventure awaits. Charter a flight from Bogota to cross the Chiribiquete mountain range and fly into the heart of the breathtaking Araracuara Canyon. Begin a multi-day expedition by river and jungle trails to visit the Witoto and Antoke Tribe. Make your way by private boat to the Angostura Canyon and the Rio Yari, the setting of one of Colombia’s most famous books: Mi Alma Se La Dejo al Diablo. 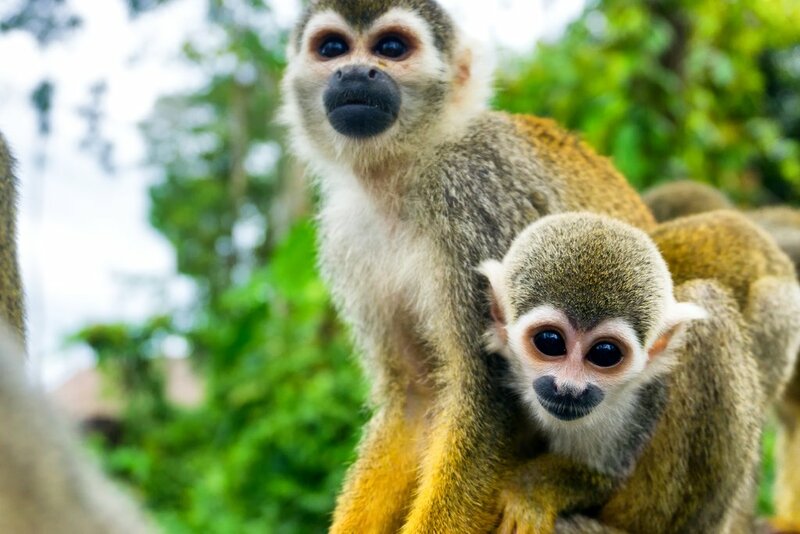 End your trip by exploring Colombia’s largest national park, Chiribiquete National Natural Park (3 million hectares). If you’re traveling on a tight budget, you can take a flight from any major Colombian city to the tourist hub of Leticia and visit the border region of Colombia, Peru, and Brazil, a thick swathe of impenetrable rainforest. Paddle along the banks of the Amazon, spot pink dolphins, observe exotic birds and appreciate the fascinating botany and biodiversity that only the Amazon has to offer. 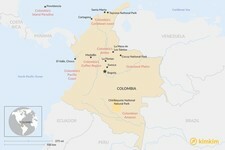 Suesca, La Mesa de Los Santos, La Florián, and Cocuy National Park are the top alpine destinations in Colombia. Suesca, about an hour drive from Bogota, is a small alpine community nestled in the heart of Colombia’s central Andes. Here, Colombia’s premier rock-climbing site offers classic and sport routes that span beginner to 5.13c, with other activities such as kayaking, mountain biking, and spelunking. La Mesa de Los Santos, located 50 km. 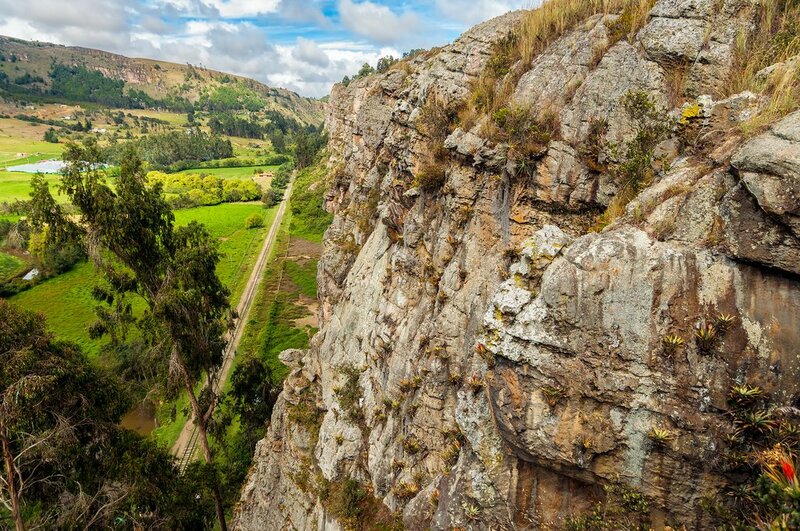 from Bucaramanga in the Santander department, is home to over 100 routes carved in the sandstone, known as “La Mojarra”. La Florián, five hours north of Bogotá in the Boyacá department, is Colombia’s best kept climbing secret with about three dozen climbs, all 5.11 and higher. Continuing northwest across the Boyacá department, access El Cocuy National Park via the town of Güicán. This massive, 306,000-hectare park features vertical sandstone walls and more than 20 snow-capped peaks. Friendly staff and guides meet you in various mountain chalets and guide houses throughout the park and are an invaluable resource. Panoramas of high-alpine, jagged peaks are only obstructed by the country’s tallest accessible peak: Ritacuba Blanco (17,749 ft.).